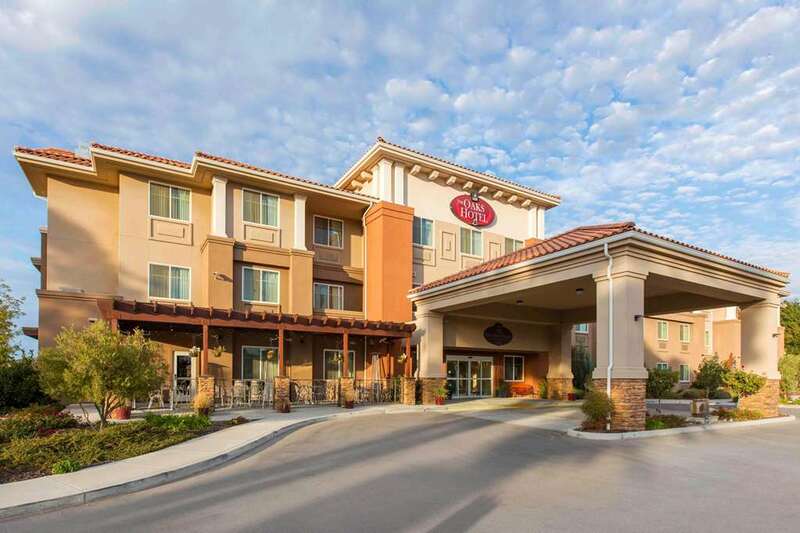 Enjoy the local flavor, and delicious flavors, of wine country when you stay at The Oaks Hotel and Suites, an Ascend Hotel Collection Member hotel in Paso Robles, CA. Amenities include free WiFi, free full breakfast, seasonal outdoor pool, meeting space and a restaurant. Guest rooms feature a microwave and refrigerator, sofa bed, premium bedding, a flat-screen TV and coffee maker. We are near more than 200 wineries and attractions like Vina Robles Amphitheatre, Franklin Hot Springs, Pioneer Museum, The Ravine Water Park and Paso Robles Childrens Museum. You can also earn extras like free nights and gift cards when you join our Choice Privileges program. Pets are allowed 40.00 USD per stay. A maximum of 2 pets per guest room.